An ingenious way to add a little luxury - or add vital necessity, some might argue! - to your Jetboil cooking system. The Coffee Press converts your Jetboil's cup to a cafetiere: simply add ground coffee to your Jetboil, plunge and enjoy! 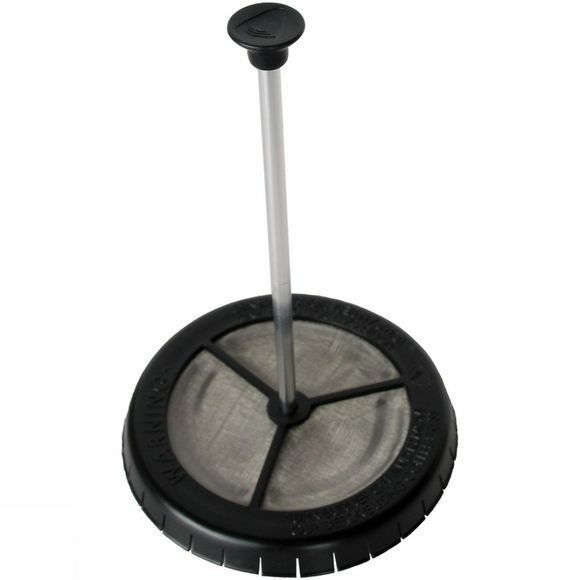 The stem detaches from the filter basket so you can store it in the cup. Note: due to the difference in diameter, the Coffee Press is not compatible with the Jetboil Sumo.